The more that I learn about the flora in Mars and my future home state of New Mexico, the more of them I find to like. 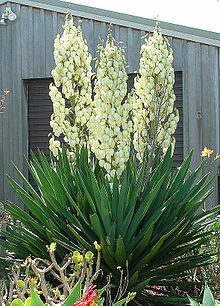 My latest discovery is the official state flower, the Yucca – something that I thought of more as a decorating cliché than as a “real” plant – the Ficus of front yards. In Connecticut, where we now live, its sword-shaped leaves and tall clusters of white flowers incongruously attempt to provide a desert accent to the already-quite-green New England home landscape. At the North Carolina shore where we vacation annually you can’t swing a dead sea gull without hitting a phalanx of these tropical looking plants standing guard along the sidewalk, trying to make it look as if a southern beach cottage was built in the wild wasteland rather than later backfilled by stock from a nearby nursery. But my opinion of this member of the agave family is changing for the better as I learn more about what turns out to be New Mexico’s official state flower. The desert plant has held that position since 1927 when the New Mexico Federation of Women’s Clubs recommended it, and the schoolchildren of the state selected it. Although the legislation granting this status (House Bill No. 371 seems not to specify a particular variety – there are about fifty to chose from – the 2000-2001 New Mexico Blue Book and the New Mexico Legislature Handbook says: "Early inhabitants found that ground yucca roots were an excellent substitute for soap. Yucca has always been popular among New Mexicans for shampoo, and it is rapidly gaining commercial favor throughout the country." This leads to two possibilities “Yucca glauca” or “Yucca elata” both of which are sometimes called soaptree Yucca – but for our purposes here it is generic Yucca since Latin names and the species-ization of plants gives me a raging headache, and in this case it doesn’t really make any difference anyway. Besides there is more to the Yucca than its laundry attributes and its fancy government title. For example the leaves of the plant are also utilized in basket-making, and the leaf fibers can be turned into dental floss – which then let accumulates on bathroom vanity shelves and its creators lie to their dentists about how frequently they actually use it. And it is said that early Spanish settlers, seeing the white flowers of these abundant perennials in the moonlight were moved to call them “lamparas de dios” or “lamps of the Lord” – kind of all-natural, farolitos, or luminarias depending upon what your Christmas tradition calls the votive-candles-in-a-bag that decorate the southwestern landscape during that winter holiday. 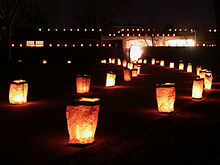 Initiated by a former New Mexican our current central Connecticut hometown has for many years displayed what are called here (and in most of the world) luminarias. Santa Fe, NM, to which we are re-locating, calls them farolitos – and Mars and I are big fans of them by either name – so I am sure will be just as impressed by the glow-in-the-dark Yucca lamps. Yuccas also have a really neat self-propagation system known as “mutualistic pollination” wherein an insect called the Yucca moth intentionally transfers the pollen from the (male) stamens of one plant to the (female) stigma of another, while, at the same time laying an egg in the flower. The resulting larval moth feeds on some of the developing Yucca seeds, leaving behind enough seed to perpetuate the species. Any plant that has its own eponymous, dedicated, species survival support team is at the top of my personal floral coolness chart. 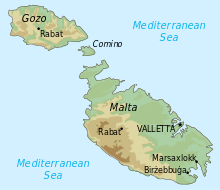 And perhaps most importantly of all – Mars and I probably saw it in Malta when we visited that Mediterranean island in 1997. (The one there is known as Yucca glosiosa, aka Spanish Dagger or Adam's Needle and has been naturalized to that country over the past 500 years.) 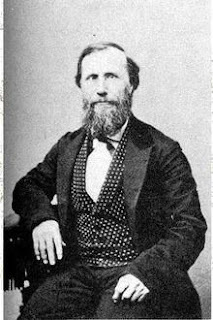 As it was for St. Paul who ship-wrecked there around 60 A.D., I think that trip was life-changing for me in many ways – not the least of which was my realization of how comfortable I felt, with Mars, in that stark, brightly-lit, adobe-colored landscape adorned with outrageously beautiful flora. 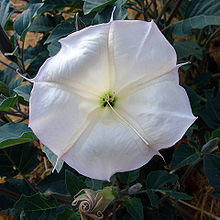 Such as Datura, the night-blooming, herbaceous, short-lived perennial with trumpet shaped flowers with a long history of use for causing delirium and death, which also grows wild on the main archipelago and its companion isles. Now that should be somebody’s state flower. I mean, how could you not love a hallucinogenic and lethal government symbol? Around six or seven years ago Mars and I came upon it again in coastal North Carolina while we were staying in a beachside condo on Emerald Isle – south of the Outer Banks (SOBX on your bumper sticker). Every morning at around 7:30 a.m. we walked over to an adjacent convenience market to get the daily newspaper. The grounds of the condo are landscaped with a mixture of southern perennials and annuals along the pathways between the units, and a combination of prickly pear cactus and white trumpet-shaped flowers on squash-like vines along the sides of the driving area. A few evenings into our getaway I noticed that the large white flowers were still wide open well after dark. Then, one day around 10:00 a.m. I noticed that they were closed up. 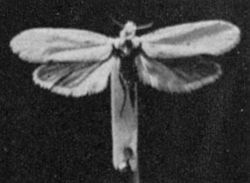 Mars, who had observed all of this strange plant behavior days before, opined that they looked to be a form of Datura. The Carolina species turned out to be a dusk to dawn version of the plant -- sort of a "Deadly Night Shift". Datura, it turns out, are a favorite of the "Night Gardening" movement -- the use of plants that either bloom exclusively at night, or are open during the day but do not release their scent until evening. I shared my discovery with the membership of my Men’s Garden Club, which decided, under the direction of one of our more knowledgeable members, to find a location and plant a nocturnal flowerbed somewhere in town. Which we did, with the cooperation of a local restaurateur who did not seem to find the presence of toxic blossoms showing the way to his eatery to be either ironic or threatening. It makes me feel good to know that in New Mexico – even though the state’s official symbol is the Zia sun, there will still be the possibility of a little night garden.